The Clonex Rooting Propagation Hormone Gel is formulated with minerals and vitamins to provide the essential nutrients needed for healthy root development. The supplement contains indole butyric acid as the main ingredient to boost the growth of young roots while protecting the delicate root tissue. 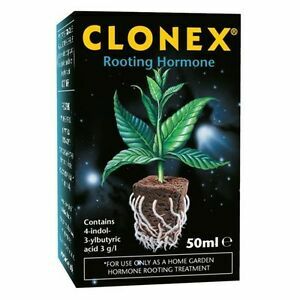 The Clonex Rooting Propagation Hormone gel comes in a 50ml bottle and is made in the United Kingdom. Er zijn 192 objecten beschikbaar. Voer een getal in dat minder is dan of gelijk is aan 192.